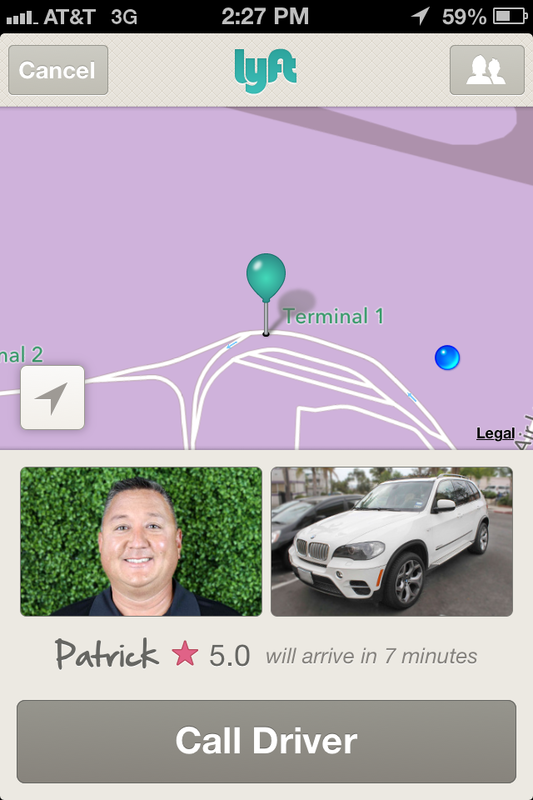 Just two weeks ago I used the new ride-sharing service “Lyft” for the first time. I heard it was cheaper than a taxi and extremely convenient. What’s the catch? Well, none. I searched endlessly online and could not find the answer to “How much does Lyft cost?” Immediately I decided to try them out for myself and answer one of the internet’s most pressing questions. I was flying back to San Diego from a trip to see the fam in San Francisco/San Jose and it dawned on me. No friends would want to take off work at 2:20PM on a Tuesday to pick me up from the airport. I searched for options but didn’t come up with any good ones. Taxi’s from my airport for the 10-mile hop home are $35. A towncar is only $39. But I’d rather spend that money on 10 delicous California burritos or at Seven Grand. I decided to give Lyft a roll of the dice and downloaded their app. It’s a piece of cake to “sign-up”. Get the app, put in your credit card info, and you’re ready to go. And don’t get scared that—you pay in the app directly rather than feeling pressured by a driver to give a tip. I had a great experience with Lyft, which I detailed here on American Debt Project. Right now I just want to focus on how much Lyft costs but take a look if you want to know. Right now Lyft is only available in select cities, and it’s expanding quickly. What can you expect? Super-friendly, accommodating drivers. Clean cars. Quick service. They do the work for you and find a driver nearby. Lyft describes themselves as “on-demand” ride-sharing, or “your friend with a car.” I think the term “ride-sharing” sounds like a carpooling service. This is not. How Much Does Lyft Cost? Many people are stating that Lyft is about 30% less than your local taxi service. What was my experience with Lyft costs? Well, I paid $25 for a 10-mile ride. Compared to about $35 for a taxi. That’s 29% less than a cab. Sounds about right! 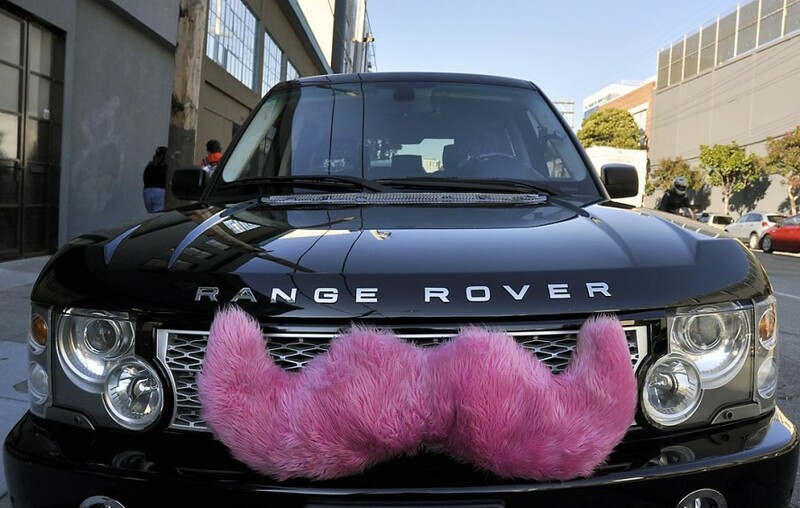 What’s the upside beyond the cost of Lyft? I cannot tell you how easy it was to interact with my driver. Did I mention he had candy?? And cold water for me? And I didn’t have to pay for him to wait for me while I was grabbing my luggage off the baggage carousel? You know what else is cool? To lower the cost for my first Lyft the driver gave me a $20 off coupon! Don’t be sheepish about asking for one yourself. Lyft is 4 stars in my book. Give them a look at Lyft.me. AMEN! Why do we need the government to over regulate things like this, especially when is drivers and passengers are completely okay with this? Rediculous! It’s not “government” who’s objecting. In this case it is a taxi company or some other business interest — some other guy — who does not want the competition for their business that Uber and Lyft are threatening. Possibly it is the auto makers who are behind this opposition as Uber and Lyft reduce the need for personal vehicles. We need more companies like Uber and Lyft so that the price of a ride will be even lower and even more convenient. I agree, it’s not so much the government, and lawyers live to take cases like these. This is about vehicles for hire. Proper insurance as well as a driver that is live scanned and drug tested is proper. It is much different than giving a friend a ride. Read the fine print of your own auto policy. It will in fact state that a vehicle for hire is not covered. Lyft clearly states that as soon as a passenger is in your car, you are covered by their commercial policy up to $1,000,000 per incident. So perhaps instead of reading the fine print on your insurance you should read THE HUGE PRINT on lyft. James How much is the per mile rate?? Obviously the age has something to do with their insurance. They have to cover the drivers to a certain extent, or else it would be the equivalent of finding a ride on craigslist. It’s the same reason why people who are 25+ pay less for their personal auto ins…. Don’t be mad, just enjoy being young while you’re there. Trust me, getting cheaper ins isn’t all that its cracked up to be. That’s an insurance thing. Their policy dictates the age of the driver as well as the car. I can understand why you wouldn’t like it, but I think that a higher age limit is just one more example of the precautions Lyft takes. There is a lot that goes into being a Lyft driver. Good judgment is a must. It simply has to do with the government not being able to regulate it or add significant fees to it. I’m sure it won’t be long that these solution provided will need to raise prices to cover the added Ca excise tax, added emission tax, and other made up supplemental tax. The great idea tax will be added soon. I applaud for Lyft and Ubers alike providing a well needed services. I think this is a wonderful idea especially for younger disabled people who doesn’t have access to paratransits ect. I can’t drive my daughter to school today. This may be my only answer, or a taxi. Richard, you are incorrect in your assumption that we are not background checked. I work for Lyft and had to submit to multiple tests, background being one. As well as criminal, work history etc…As for drivers being rude, we are rated by each passenger and must maintain a 4.8 or higher to remain employed by Lyft. We have personal auto insurance and are also covered by Lyft’s insurance and we must maintain insurance. Lyft will even tell you when it is getting close to your insurance renewal. Lyft is a great company to work for and I, as a driver, take my job seriously. This is how I pay my bills. Lyft offers job opportunities for those who cannot work regular hours or just want to earn a bit extra. I have found Lyft to be a wonderful and caring company to work for. We, the drivers, also rate our passengers, every passenger. Most passengers are friendly but occasionally you get a stinker. Rate them honestly ad fairly and they will do the same for you. It sounds like you may have a problem with Lyft or one of its drivers. May I suggest that you contact Lyft. I am sure that they will work with you to rectify the situation. Please do not assume that all Lyft drivers are rude. We are just like you, human and are doing our best to provide for ourselves and our families. Kristal can you tell me how much is it for a 45 mile radius with Lyft? I want just an estimate.